A sermon preached at the Church of the Incarnation, San Francisco, on St. Paul’s Day January 25, 2015, by Christopher L. Webber. You come to church week by week to hear good news. The word “gospel” means “good news.” So what was the good news this morning? “Jesus said, I am sending you out like sheep in the midst of wolves.” Good news? Doesn’t sound like it to me! The Gospel goes on to tell us that Christians will be flogged in the synagogues and dragged before governors and kings, that brother will betray brother to death and a father his child, and children will rise against parents and have them put to death and you will be hated by all because of Jesus’ name. Isn’t that a great thought to start the week! By which I was trying to say, “Things don’t change that much.” I think we get told about our future as sheep among wolves because the wolves are always out there. If we don’t see them it might be because they don’t see us as Jesus’ sheep. But presumably, as I said, the thought behind the choice of these words is that things haven’t changed that much, that being a Christian might not always be easy; that it might be really, really hard. Is that good news? How do we handle it when we hear stuff like this in church? I wonder whether there is an automatic adjustment machine in our brain that kicks in and translates it, if I could put it that way, and tells us, “This is interesting history; but this doesn’t apply to us; this was about the first century when the church was persecuted and, yes, that’s how it was for them but that’s not how it is for us. Don’t worry about it.” Do I at some level of the brain go through that sort of exercise to discount what I am hearing? It’s not unnatural if we do because who wants to be wolf-meat? And it’s easy to do – even to make it into good news – because we don’t have that kind of trouble at the moment but I have to wonder, when I think about it, whether the difference between them and us isn’t so much that the neighbors are friendlier but just that Satan is smarter. The fact is that the church grew in the first 300 years in spite of the persecution. Christians were crucified and thrown to the lions and beheaded and burned at the stake and starved and drowned and those in power did everything they could think of to persuade people that Christianity was bad for your health but the church grew just the same. A couple of years ago I was serving a congregation in Connecticut and we were cleaning up files in the church office and came across copies of some old diocesan yearbooks. It was fascinating to look at the numbers from just 25 years ago. Things weren’t going all that well 25 years ago and haven’t been for at least forty years. But even 25 years ago not just the parish I was serving but every church in the state still had large congregations and large church schools. There were still four Episcopal churches in the town I was serving and now there are three. There were 186 churches in the diocese and now there are 170 – and I haven’t heard about any persecution. Nobody these days is crucifying Christians in this country. And, of course, it’s not just the Episcopal Church; all the churches have the same problem. Back during the Depression the churches grew. Back during World War II the churches grew. Back during the early days of the Cold War the churches grew. But not anymore. No, we haven’t solved all our problems but comparatively our problems are small and surely there is nothing to keep people from going to church on Sunday except the fact that it’s too easy and life is too comfortable. I remember years ago meeting people from Sri Lanka where there was a new government that was Buddhist and was doing everything possible to make it hard for Christians. They instituted a ten-day week so you never knew when it was Sunday and Sunday was almost never a day off. That meant that Christians had to go to church before going to work – and church attendance grew because it required a commitment. During the worst days of communism in China the church grew faster than anywhere else in the world. During the worst days of communism in Russia the church still grew. And maybe Satan finally figured it out: just leave them alone and they’ll get bored and give it up. And it’s working. 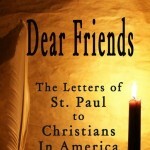 This is St. Paul’s day: the Feast of the Conversion of St. Paul, and Paul learned something by persecuting Christians. He learned that it doesn’t work; and when he couldn’t beat them he finally joined them. He talks about it in the first reading this morning. “I’ve locked up many of the saints in prison. I cast my vote against them when they were being condemned to death; I pursued them in foreign cities.” Paul tried, and it didn’t work. So Paul gave up and joined them. We’re just into a new year and have an annual meeting coming up and maybe we ought to be asking ourselves if we can find some way to get ourselves persecuted. What can we do to build up this church? Christians everywhere are asking that question and I don’t know that anyone has good answers. There are indeed growing churches but it seems to me that many of them follow one of two different strategies. Some of them do what a friend of mine calls “entertainment evangelism.” They bring on rock groups and popular music and sit you down in comfortable chairs and make it easy for you and that works pretty well in the short term but I wonder how well that would last in a time of persecution. What is there in that to die for? 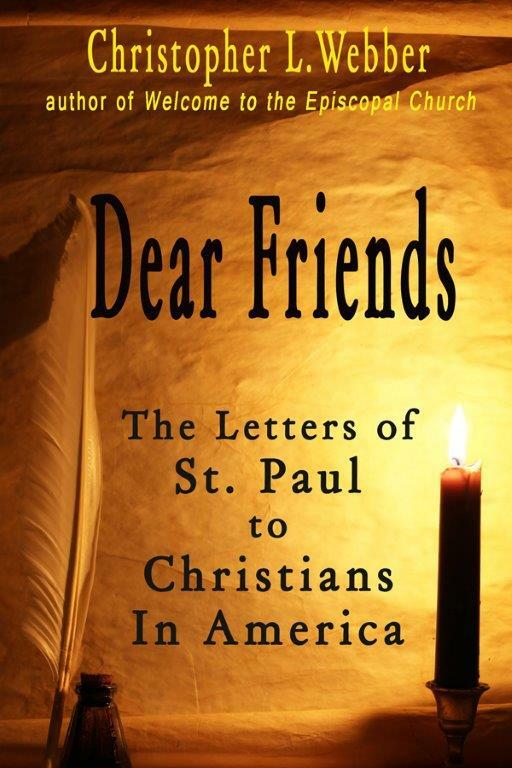 Others find a way to pretend they are persecuted: they rave against the government and claim our liberties are being taken away and that also works pretty well with some people but I don’t think St. Paul would have been impressed. Lots of Christians in lots of places would be happy to be persecuted the way we are. No, I think we need to begin to imagine a new kind of evangelism that does two things. First, it would analyze what Christianity really means in a world like ours. It would ask for a really clear definition of what it means to be a Christian. It would ask each of us to be able to answer the question, “What difference does it really make? Could I live without it?” And second, it looks for the challenge, it looks for the places where Satan is at work and it confronts him – or her, and it faces up to conflict if necessary recognizing that change isn’t easy. But where is the challenge? Let me be controversial. I see any number of places in our society where the gospel is ignored and we don’t face it. What about gun control? Why are the laws not enforced? There are laws to prevent the wrong people from getting guns but it’s easy for them to get them and the gun lobby scares our legislators out of doing anything about it. Two policemen were shot in New York City recently and the whole focus was on the conflict between the mayor and the police force, but where did the killer get the gun? He was known to be dangerous but he had no problem getting a gun. Why not? If gun control laws were enforced maybe fewer policemen would get shot and maybe fewer policemen would be so quick to kill others. Polls show that the vast majority of the population wants stricter gun control but it’s too controversial for our politicians to act. This diocese holds vigils in protest but hardly anyone notices because I think most of us consider it hopeless. And, in fact, the Episcopal Church alone, even if we all took part in vigils, can’t change anything. Only when Christians together demand the government act will something happen. We vastly out number the NRA but they care and so they make a difference and we don’t. What about the economy? The richest people are richer than ever but too many people are unemployed or underemployed, underpaid. People who work for Walmart are paid so poorly they have to go on welfare which the rest of us pay for. So we taxpayers subsidize Walmart and the Walmart family is among the wealthiest in the world. It makes no sense but nobody dares raise taxes on the rich because they subsidize the politicians. What would Jesus do? We know what Jesus would do because there are stories in the Bible about it. A rich man came to him and asked what he should do and Jesus told him: Give your money to the poor and follow me. You cannot run Walmart or any such corporation and claim to be a Christian. What about the amount of money the government spends on weapons and bases we don’t need? Aren’t Christians called to be peacemakers? Who challenges our priorities? We could take a stand on some of these issues and insist that if we are faithful to Jesus, we should do something about violence and poverty and we could get ourselves persecuted and it might be good for us and maybe the neighbors would notice that there are people here trying to make a difference. Some of them might make it hard for us but some of them might join us. Okay, I’m trying to be controversial because I think we need to be thinking about the reason we are here and you are welcome to disagree with me and we can find out whether our commitment to Jesus is greater than the differences we may have. I think we need to be willing to challenge each other and disagree with each other and work through our disagreements to come to a faith that matters, that makes a difference, that changes the world the way St. Paul and the early church changed the world. Let me make a few other suggestions that ought to be less controversial but maybe even harder to act on. What about prayer? How many of us pray daily, maybe use the daily offices in the Prayer Book? St Paul said, “Pray without ceasing.” How about just “pray often”? How many of us meet with others during the week to share our faith, to strengthen each other to make a difference? This church offers a wonderful number of opportunities for worship and prayer and mutual support every week but not enough of us are here. What about stewardship? A bishop I knew many years ago who had a very simple standard: “Give till it hurts” Do we? Does our giving make a difference – to us? Does it deprive us of anything important? Does it keep us from doing anything we want to do? In most parishes if people were all at the poverty level and tithed church income would go way up. In the last parish I served in Connecticut we had about 30 pledges and a pledged income of about $35,000. Which was just where it ought to be if every one of those pledges represented an individual living at the Federal poverty level and tithing. But I have to assume that most of them were living somewhat above the poverty line and were living in larger family units – 2, 3, or 4 – and were nowhere near tithing. I don’t know the numbers here, but I suspect that there are many who are not tithing, or at least could give more – Give until it hurts. But how else will we make a difference? Now the purpose of the sermon is to proclaim the Gospel, proclaim good news, and there is good news. God in Jesus Christ has acted to give us life – – eternal life – – and following him is not always easy but it brings a depth of peace and joy not to be found elsewhere. But that life and peace and joy are not for the casual Christian, the Christmas and Easter Christian, the drop-in-on-occasion Christian who acts as if it doesn’t make a difference because it hasn’t made a difference. Many of them have not become real Christians because they have never met a real Christian. They have never met anyone who made them ask, “How can I have what you have?” Paul had met people like that and eventually it got to him and he was changed. This church needs to be the kind of place that not only gives thanks once a year for St. Paul but works to make the same difference he did in the world around us today.